ISL 2017 Indian Super League will start from 1 October and will end on 18th December 2017. 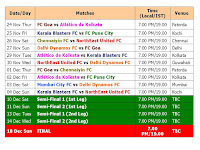 Total 61 matches will be played including four Semi-Finals and Final. 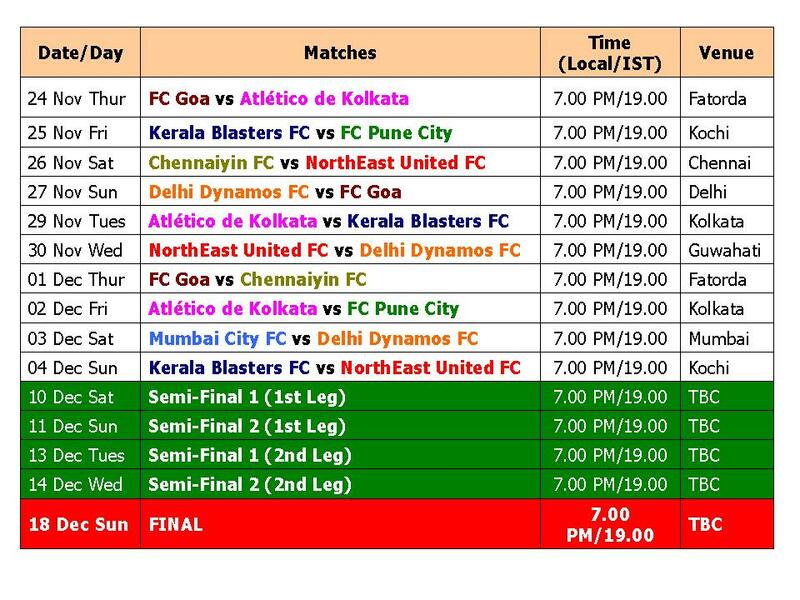 8 Teams are playing in this league, Atletico De Kolkata, Chennaiyin FC, Delhi Dynamos, FC Goa, FC Pune City, Kerala Blasters, Mumbai City, North East United.